American travelers usually travel easily with a U.S. passport in tow. Having an American passport opens new horizons and doors the world over but not in some parts of the globe. In fact, there are several countries that make it difficult for Americans to get and secure a visa. If there are destinations in the world that don’t even require a visa for American travelers, other countries are just hard to visit. Although with a close proximity to the United States, Cuba is deemed so close yet so tricky to enter for Americans. The truth is that the Cuban government is quite open to American tourists. It is the U.S. government that does not allow its citizens to visit Cuba strictly for tourism purposes. The State Department is quite stringent in their visa requirements especially if your destination is any of the remarkable places in Cuba such as the famous Varadero Beach. Cuba does have their popular free universal health care and other baits for tourists but Americans need to have purposes other than tourism to secure a permission to set foot on Cuban soil. Due to the civic issues and security concerns in the country, Libya is even much stricter in issuing visas to American tourists. The Libyan government has, in fact, issued visas to Americans since June of 2010. However, despite allowing Americans to visit, the process of getting approved from the embassy is a daunting and painstaking journey. American travelers would have to hurdle tons of requirements and difficulties before they can have that sought-after visa. Americans that have dual citizenship and would use their non-US status to secure a visa to enter Libya are in even much deeper trouble because when discovered, imprisonment is one of the penalties to face. Aside from the obvious reason that the country does not have their embassy in practically any parts of the globe, North Korea is quite difficult to visit because visa application process is quite lengthy. Although Americans may visit North Korea, getting your visa approved is long and difficult, not to mention a sanctioned guide will be virtually accompanying you at all times once you are on North Korean soil. Your sanctioned guide will be the one who’s in deep trouble in case you want to venture off the beaten path to sightsee. Book your tour to the country and have your visa submitted for approval but make sure you use a trusted online visa service for a risk-free and time-saving application process. Yes, Saudi Arabia Visa is in the list. American tourists are up for a long and overly stringent visa application if they choose to visit and explore the Desert Kingdom. 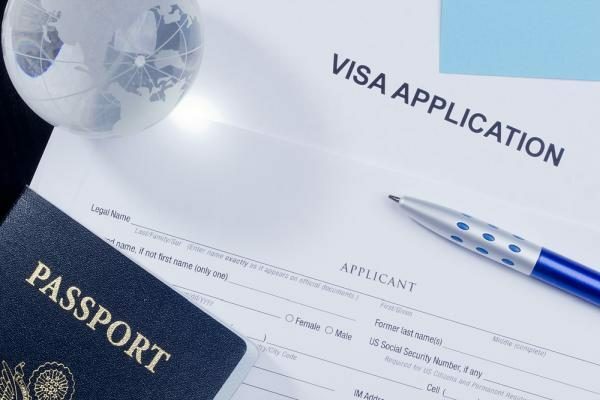 All visa applicants must comply with the needed requirements particularly a local sponsor and several months of preparing for the application and waiting for it to be approved. Your passport must not also have an Israeli stamp on it if you don’t want to jeopardize your trip and say goodbye to an adventure in this interesting kingdom in the Middle East. Another destination in the Middle East also requires a hard-to-get visa but it’s worth the shot especially if you want to see the exotic and beautiful scenic spots in the country. The Iraqi embassy should basically grant you a visa first which you can get in Washington. However, if you don’t have the time, you can always get assistance from online visa service providers. Other requirements include a valid passport that is still validated for 6 months. You may also get an Entry Visa Approval Memorandum which could be obtained through the Interior Residency Office. US tourists must also willingly submit to a mandatory blood test upon entry in the country. A lot of countries are welcoming to American tourists with easy to get visas or no visa requirements at all. Hire an established and trusted online visa service company if you are adventurous enough to visit the countries on this list.